Contest logging tool for short wave radio. Is there a better alternative to RUMPed? Is RUMPed really the best app in Network category? Will RUMPed work good on macOS 10.13.4? RUMped is a contest and dx-pedition logging tool for short wave. 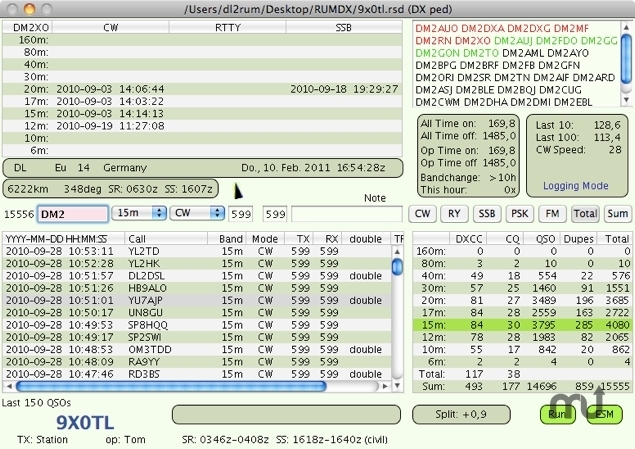 RUMped supports a DX-pedition mode and the major contests. Further you can create your own contest rules. RUMped can use cocoaModem2.0 as modem for RTTY, BPSK and Hellschreiber. Partial call check during typing, multiple master databases are included.